We Want YOU for SCCC! Friends, its that time of year when all I want to do is think about ways to get out there and enjoy the sunshine and fresh air! Summertime is my favorite time – at the pool is where you will find me most days. But, now is also the best time for you to sign up for the 2018-19 season of Scenic City Children’s Choir. We are planning and preparing for our third year of singing, learning and performing! Man, would we hate for you to miss out on so much fun! We are offering an early bird discount on tuition again this year! If you sign up before June 30th, you will get a 10% discount – $180 for the year, instead of $200! You don’t want to overlook this opportunity! The best way to get in on the good deal, and to grab a place in the SCCC for this school year, is to get your registration form and fee turned in ASAP. Melody Day and Rebecca Phelps. Friends! Scenic City Children’s Choir had a fantastic fall semester which culminated in our wonderful Christmas concert and a super cold, but fun Sing-n-ring with for the Salvation Army. We’ve had a bit of a break, but its time to sing some more! If you’re reading or hearing about SCCC for the first time and you’d like to know more about us, feel free to read more here on the website, or contact Melody Day at 423 315 2204 or melodyday@epbfi.com. We would love for you to join your voice with ours at Scenic City Children’s Choir. Meeting place: Concord Baptist Church, choir room. Who can attend: ages 1st – 8th grade, we have 2 choirs. The Signal Chorus for 1st – 4th grades and The Lookout Chorus for 5th -8th grades. These choirs sing together and separately at our performances. We sing a wide variety of classics, folk and bluegrass, hymns and contemporary songs. At the end of the spring semester, we plan to perform at a Nursing Home and also in a Spring concert at Concord Baptist Church. Most home school moms I know are getting ready for school to start – finalizing their schedules and picking up that last bit of curriculum for their school year! All the while, many of us are trying to soak up the last little bit of summer fun! Am I right? But, in the middle of all of that busyness, I want to remind you that Scenic City Children’s Choir has our annual Ready, Set, Sing meeting on August 15th, at 3:30 pm at Concord Baptist Church. This is the time set aside for you to come and register, and find out all of the important details for this year. Ready Set Sing is the best way to get our community off to a good start for the year! You definitely don’t want to miss it! It may be only June, but we are making plans for a new year of singing together – and WE WANT YOU to join us! The best way for you to be a part of SCCC is to click on the registration link on the “forms ‘n such” page, fill out your registration and submit your forms and tuition right away. Right now you have the option of an early bird fee until June 30th, and you don’t want to miss it! Here are some of the reasons you don’t want to miss! First, our format is changing – we are no longer just one chorus. We are two choruses in one! After working with the children this year, we realized that we wanted to use our time to develop our young singers more effectively – and that means dividing into two choirs. So, this year we will have the Signal Chorus for our younger singers (1st thru 4th grade) and the Lookout Chorus (5th thru 8th grade). Of course, to make this change we need singers! Second, our location is changing – we will be meeting in the East Brainerd area at Concord Baptist. Fortunately, we will not change the day and time! Tuesday afternoon is still our slot on the schedule, and we hope that will work for many families! Third, our parent volunteer plan is changing – now that we’ve done choir for a year we have a better handle on what we need. Fortunately for our parents, the requirements are minimal – just 2 or 3 times a semester (unless you want more) – and we will have a sign up sheet at our parent information on August 15th, so you can snag the responsibility that fits you best! I’m happy to tell you Scenic City Children’s Choir enjoyed a very successful first year; rehearsals packed with lots of learning and wonderful concerts, too! We are looking forward to all that we will do this coming 2017-18 school year. And we are excited about all of these changes we will be taking on in the coming season! Scenic City Children’s Choir is on summer break! In the mean time, we are making plans and we are getting several new projects and ideas rolling! We can’t wait to share all the new stuff with you, so be sure to check back soon to see what’s happening in the fall! Scenic City Children’s Choir completed our first semester of singing and learning, and celebrated with a fantastic concert in December! But now, it is time to get our second semester rolling. We have so much to do, many songs to sing and a lot to look forward to! 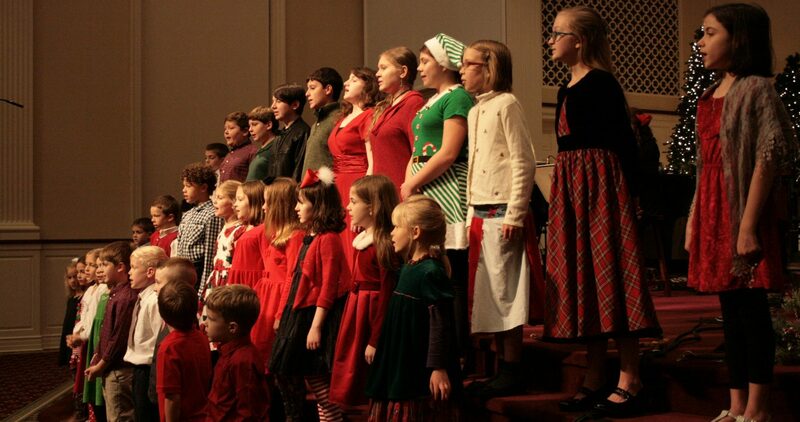 If you want to be a part of Scenic City Children’s Choir, contact Melody Day (423.315.2204 or melodyday@epbfi.com) right away for more information and to get registered. You definitely don’t want to miss out on all of the fun! Our first rehearsal this semester will be Tuesday, January 24th at 3:30. Our very first annual Christmas Mini Concert was a huge success! We have been making plans and preparing for our first year of the Scenic City Children’s Choir! Several have sent in their registrations forms, even more have let me know they are intending to sing with us, but we still need YOU! If your child loves to sing, and would enjoy the community of a chorus – Scenic City Children’s Choir is definitely a great option! First: Please sign up your choir member today, by printing out a registration from, filling it in and mailing it as soon as you possibly can! Second: Make plans to come to our informational Ready, Set, Sing! meeting at North Shore Fellowship, at 3:30 pm, on Tuesday August 16. Third: Spread the word to all of your song-loving, home schooling, young friends! It is the spring of 2016. We are looking forward to the inaugural season of the Scenic City Children’s Choir this fall! It will be our first year of home school elementary children’s choir in Chattanooga. How Exciting! There are big plans in the works! Weekly rehearsals including lots of singing and learning, holiday performances and other concert opportunities too ; these are just a few of the things we are looking forward to! We hope to form a nurturing community of young people who love to sing. Check out our “about” page to learn how to get involved!